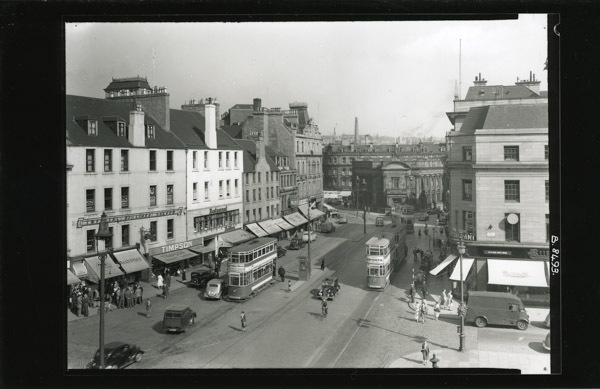 Keillers restaurant on left in Dundee 1950’s. Clydesdale bank building still exists. Home / Four Trams. / Keillers restaurant on left in Dundee 1950’s. Clydesdale bank building still exists.